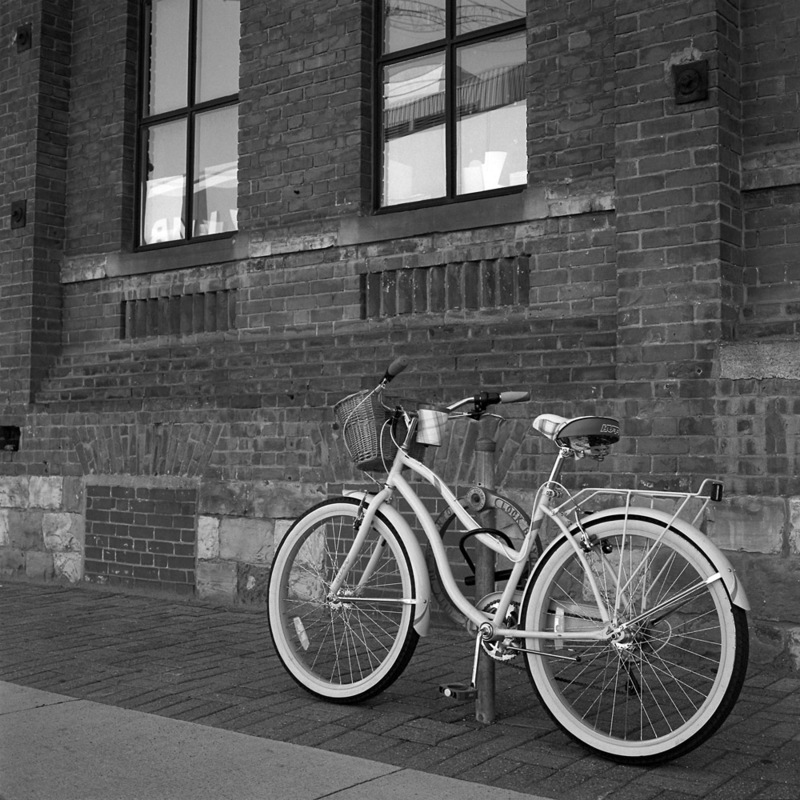 Ok- I’m getting better organized now, and here are my Toronto bike pictures. 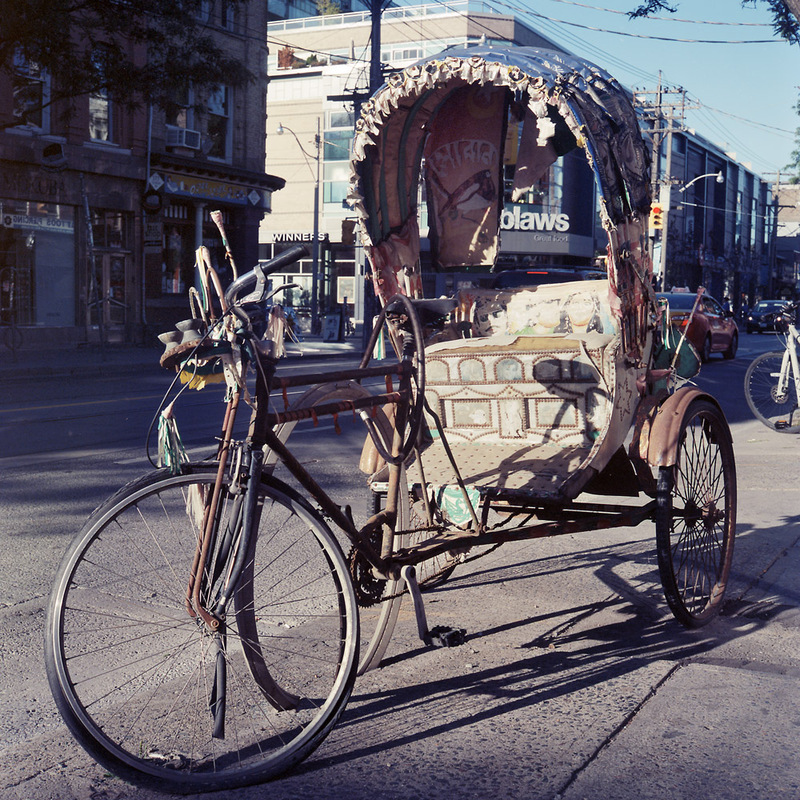 And trikes, if you count the pedicab, but it’s non-functional, so I’m not entirely sure it counts one way or the other. 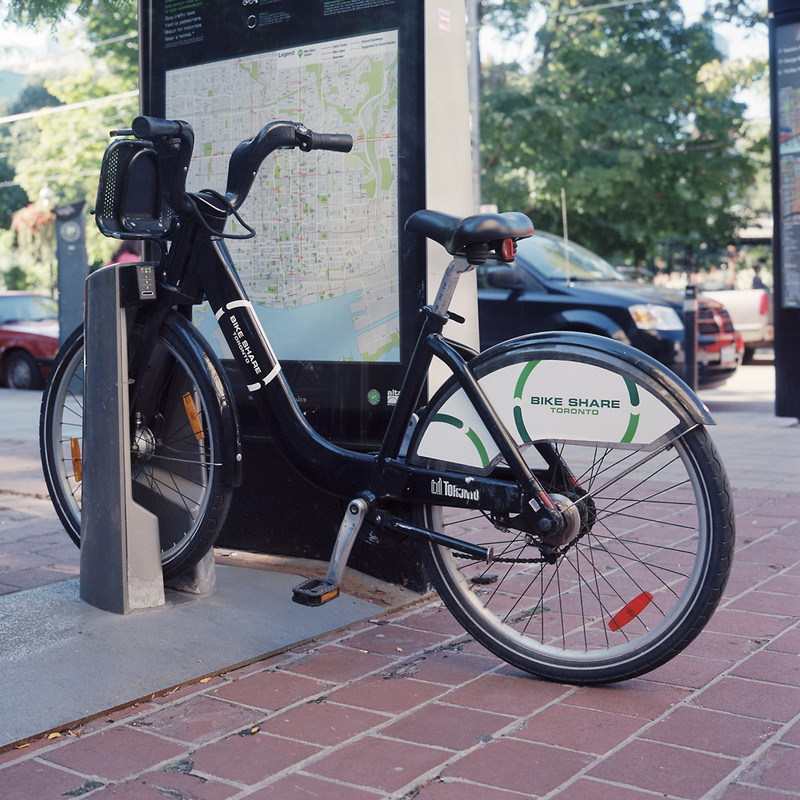 The Toronto Bikeshare program gets first on the playbill. They’re quite popular and fairly ubiquitous. I don’t know that it’s any cheaper than riding the streetcars, but it certainly is better exercise. A lone cyclist on her way downtown, early in the morning. The overhead lights for street car traffic control are lit, because another block or so ahead and the normal King Street traffic is closed off due to the opening festivities for the Toronto International Film Festival. 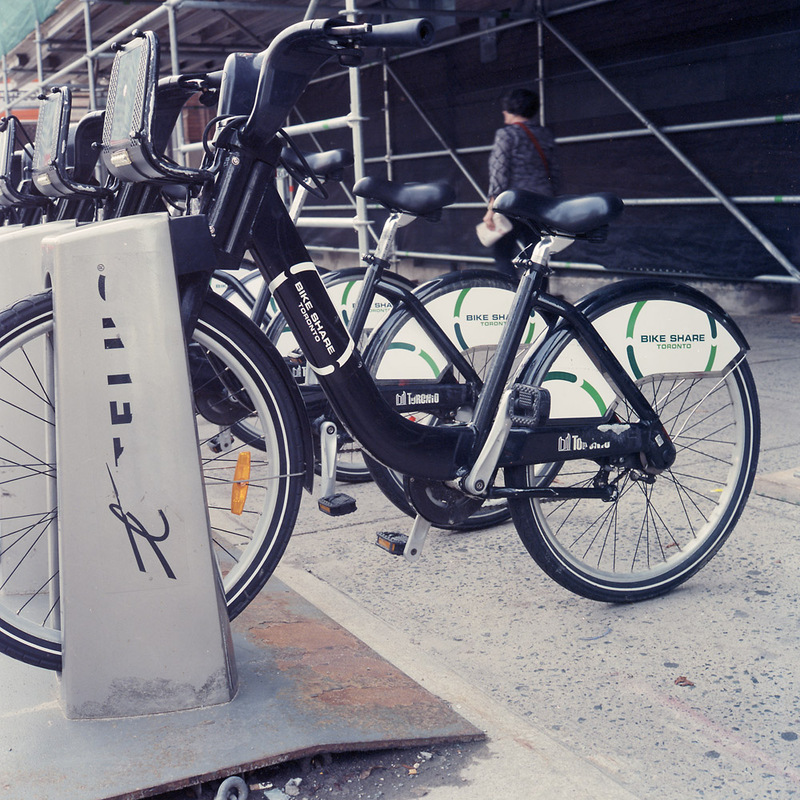 This bike was spotted locked to a bike stand over by the Ontario Opera Company headquarters. It had a suitably retro vibe to it, which both pairs and contrasts nicely with the brick former factory building behind it. It feels like it’s going somewhere on its own, just from the way it’s standing by itself. 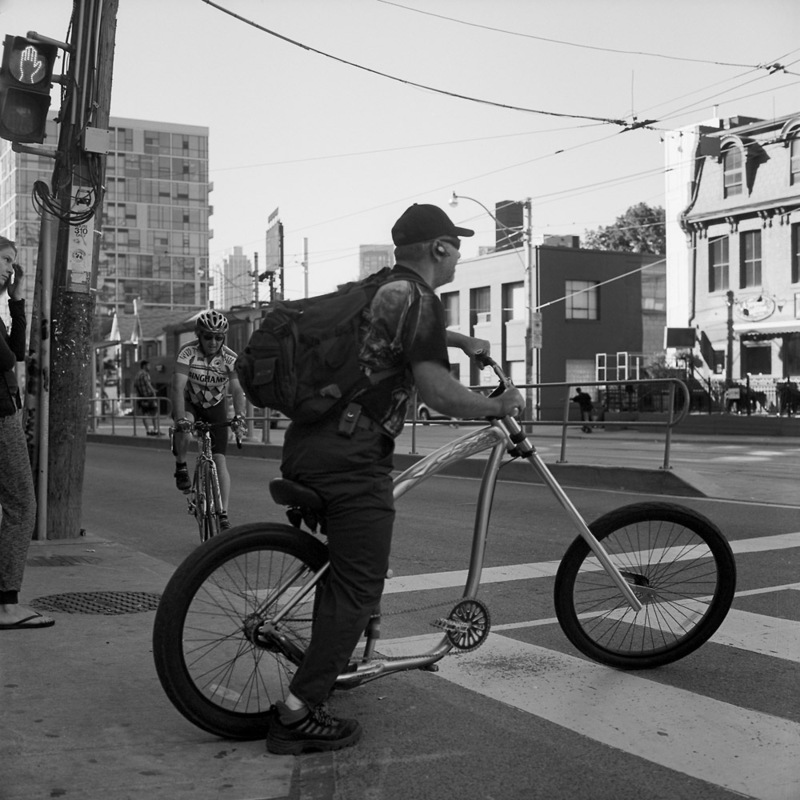 Here’s a study in contrasts – the cyclist on the road bike approaching the dude with the custom chopper bicycle. You saw this one before, but under a different heading. 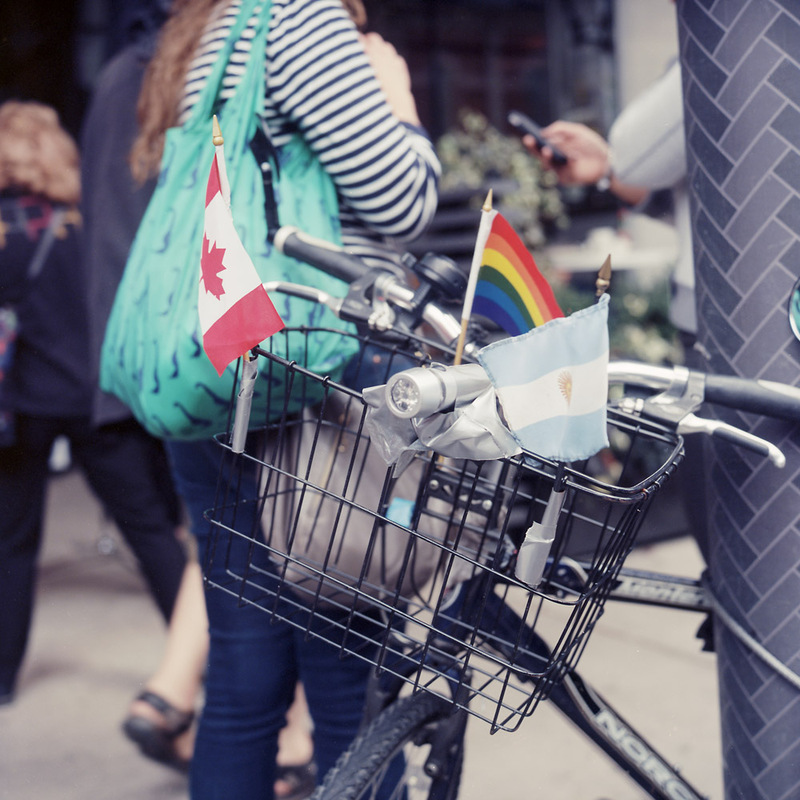 This bike with its multicultural basket was spotted outside the TIFF Bell Lightbox theater complex, headquarters for the Film Festival. 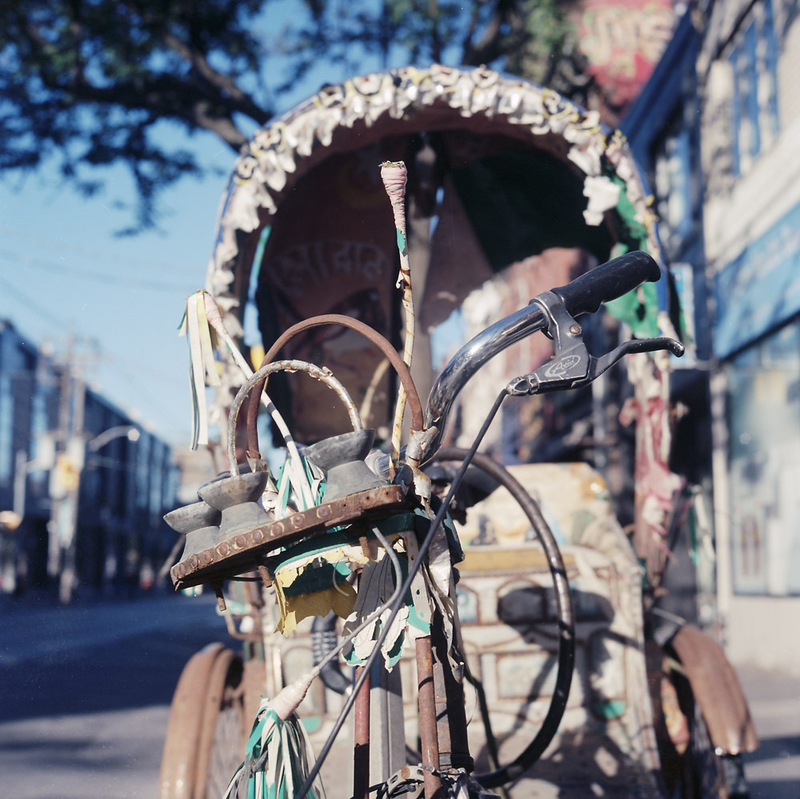 And two views of the pedicab, in all its rusted glory. I’m still baffled as to WHY it was where it was.